We carry the best remote start systems in the industry, making it easy for you to start your car, secure your belongings and enjoy the perks of keyless entry and vehicle tracking. We offer everything you need to make your vehicle one-of-a-kind. Whether you are looking to lift your truck or just add some mud flaps, our experts have you covered. With our audio and video services, you’ll find the best in brand-name automobile electronics, all at fair prices and installed by a technician with over 17 years of experience. When you trust your car or truck to a shop, you want to make sure you get the best service and attention to detail possible. Here at Hawkeye Auto Accessories in Iowa City, Iowa, we believe that quality services, integrity, and customer experience are the most important aspects of what we do. We have been providing high quality service and auto accessories since we started. You can rest assured that we will keep our prices fair and our quality high. We will take care of whatever personalization needs you have. From suspension lifts to tonneau covers, remote start/security to heated leather seats, and more! We will make sure that your car or truck meets all of your expectations. 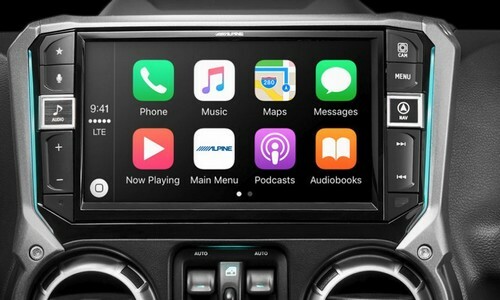 We also specialize in car audio/video and provide expert installation to make sure you get the best experience imaginable when cruising down the street in your ride! At Hawkeye Auto Accessories we take pride in our work and your vehicle. You’ll be sure to receive the best service in the industry and we back every installation we perform with a LIFETIME guarantee! Remember, poor installation can short both your system AND your wallet. Always have your installations performed by certified professionals. “Andy is very knowledgeable and meticulous. 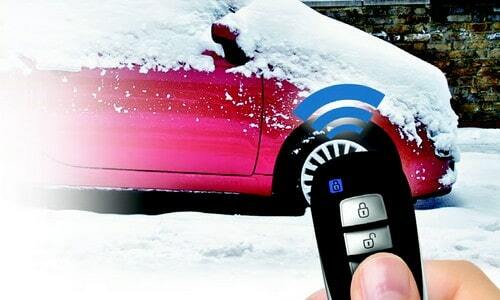 The Drone Mobile kit is an excellent remote start and alarm system. The installation looks very professional, no exposed wires and no corners cut. I am very satisfied and will be returning as a customer in the future as well as referring all my friends to Hawkeye Auto Accessories.” — Aaron C.